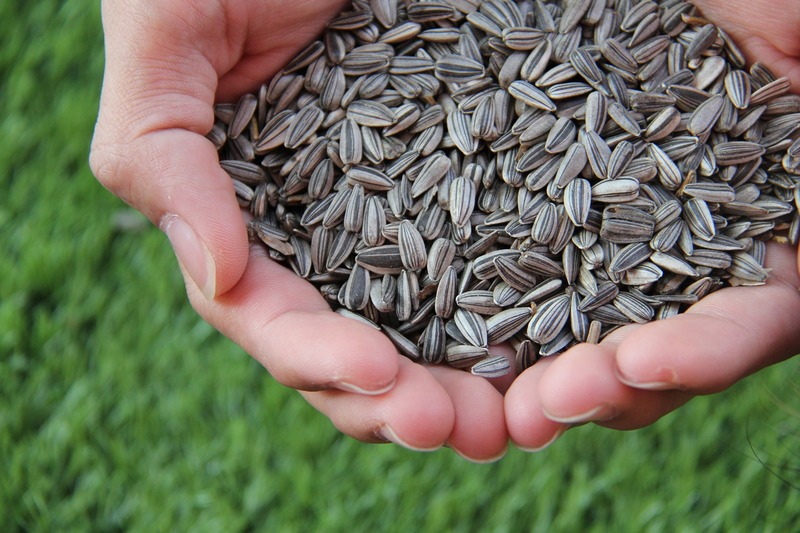 Question: Do sunflower seeds come from a sunflower? Answer: Many people likely do not imagine sunflower seeds when they see the blossom of a tall, beautiful sunflower. However, this is precisely where sunflower seeds grow and are later harvested. 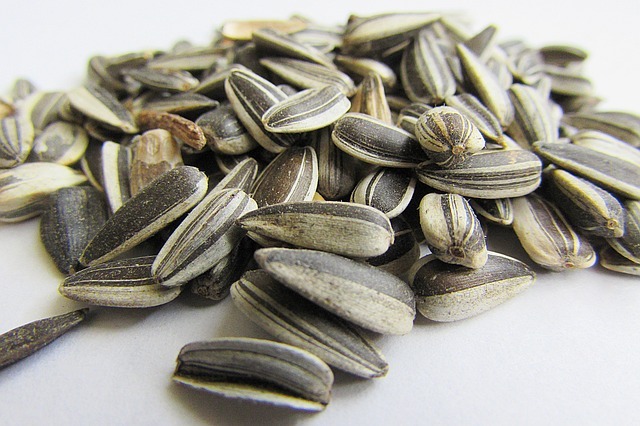 Sunflower seeds are located in the head of the sunflower. They are found beneath the disc portion or center area that is surrounded by the yellow flowers. The backside of the sunflower head will change from green to yellow when the seeds are ready to be harvested. The head will also droop and the yellow flowers will fall from the plant. When ready to harvest, the head is cut from the steam and then left to dry for two weeks or more. It is possible to dry the seeds without cutting the head off the plant. However, you risk birds eating the ripened seeds or the weather interrupting the drying process with rain. If the seeds are exposed to too much water or not harvested in ample time, they can mold or rot. Once the seeds have dried, they can be scraped away from the plant. The seeds then can be prepared for eating. One popular method that is used for preparation is to place the seeds in a brine (salt & water) for a day or so, remove the seeds from the brine, let them dry, and then roast them in the oven.